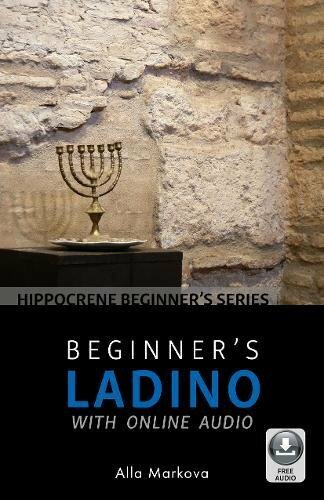 Beginner's Ladino with Online Audio is the ideal guide for anyone who wants to learn the language of the Separdic (Iberian) Jews. Ladino, also known as Judeo-Spanish, dates back to the the Middle Ages, when the Jews who lived in the Iberian Peninsula spoke and wrote in the Romance languages of the host culture. They developed a unified dialect that was distinct from Castilian Spanish. After the expulsion of the Jews in 1492, the Ladino language became part of the "Iberian Heritage" of the Sephardim throughout the world. Today, although Ladino is in danger of extinction, it is experiencing a revival. This book's 13 lessons, designed with the beginning student in mind, are ideal for both classroom use and self-study. Each lesson teaches basic conversation through dialogues on everyday topics like greetings, family, weather, shopping, and holidays. Grammar is explained in easy and accessible steps, with exercises throughout to reinforce skills. Accompanying audio for the dialogues is available for free download. Also included are a brief history of the Sephardic Jews, Ladino-English and English-Ladino glossaries, a key to the exercises, and a list of websites in or about Ladino.